TADA365: Where Are You At? Are you where you thought you were going? What have you learned? Has your direction changed? Leave a comment and tell us where you're at and post your 1st TADA and your last one so far. No judgement, no criticism, just a way to gauge where you've gone. For me, my first post makes absolutely no sense! I sort of remember writing it, but I don't remember why. It seems like about 10 different directions. My last post is several experimental pieces trying different techniques with folding and forging and enameling. Samples for techniques I want to use on pieces I'm working with. I rarely did sample pieces before. I always just wanted to get down to the piece. It was kind of like the experiment. But now I'm having fun trying out different things and seeing what the metal and the enamels can do. Well, for me everything went very well during the first month. 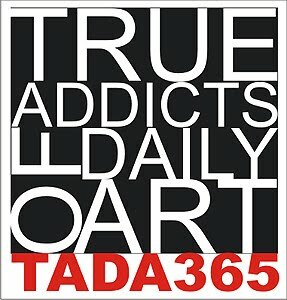 Thanks to TADA and your support, I stayed focused and completed the resin series. But I'm suspecting that the struggle with my own self and my processes only starts now. I'm torn between all these ideas and I have to decide my direction...that should be fun to see how it goes....! ....and here's my latest one - dusty miller inspiration for the botanical collection.